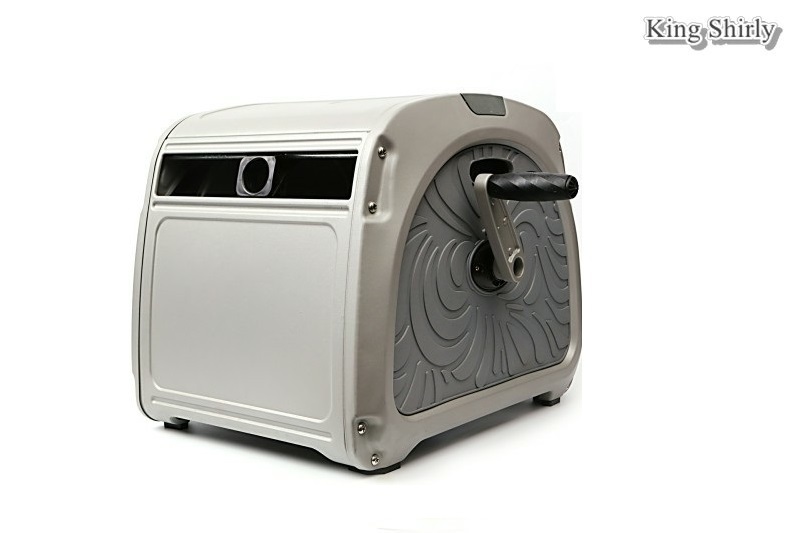 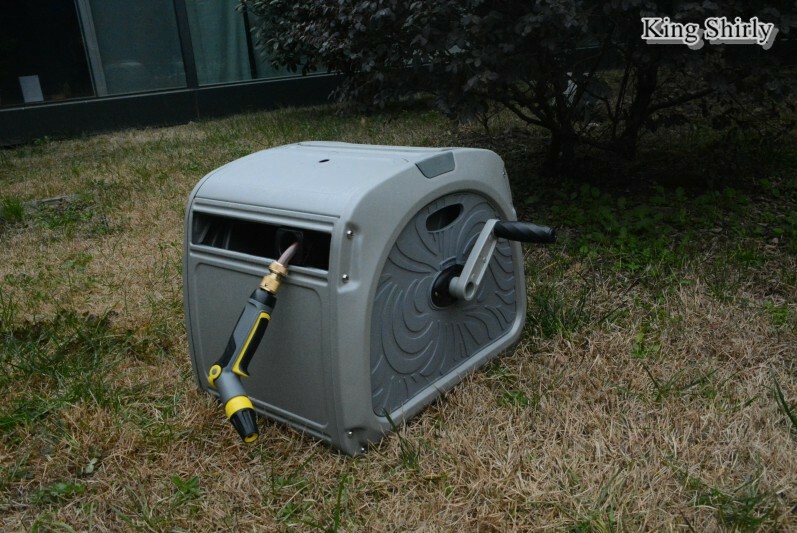 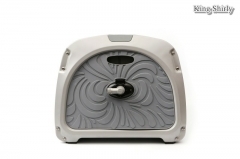 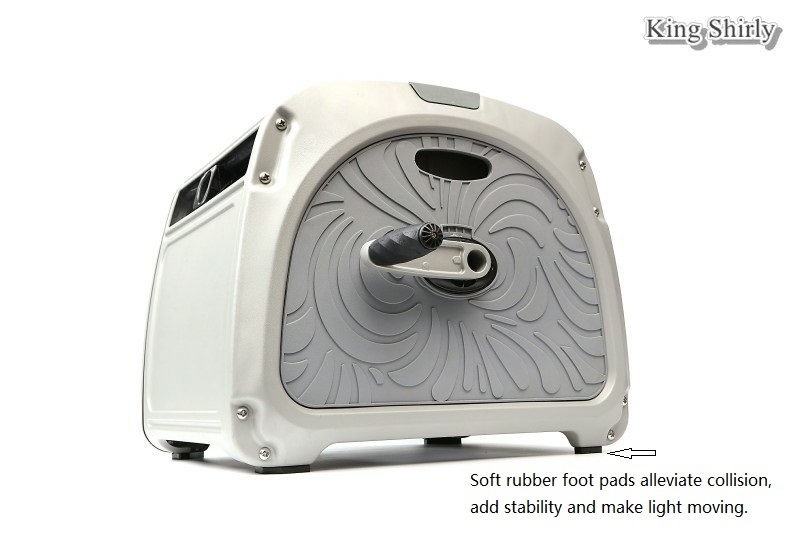 Decorative steel hose reel storage bin with fine patterns and smart hose track guide system. 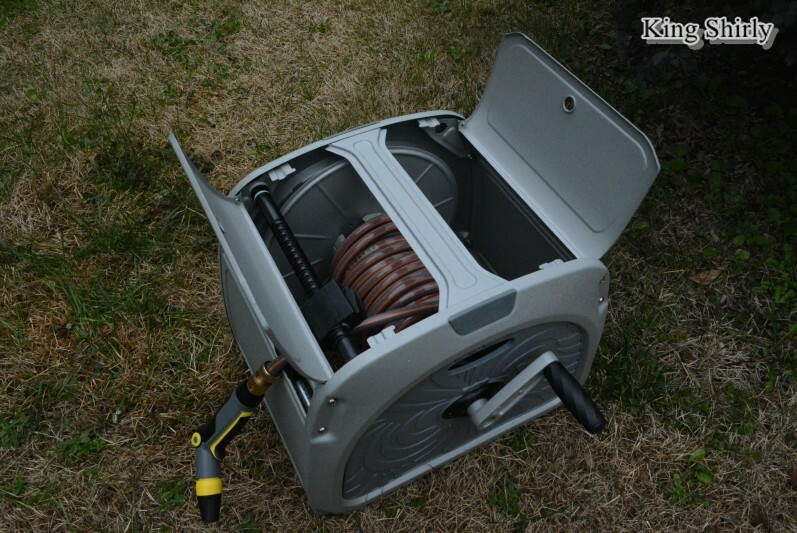 This heavy duty hose reel storage bin is constructed in steel with rust-free powder coating, made to withstand weather and for longevity. 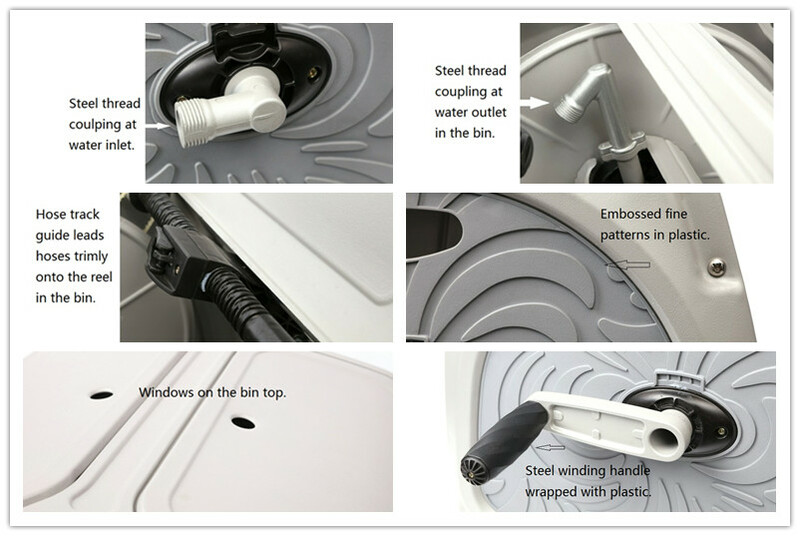 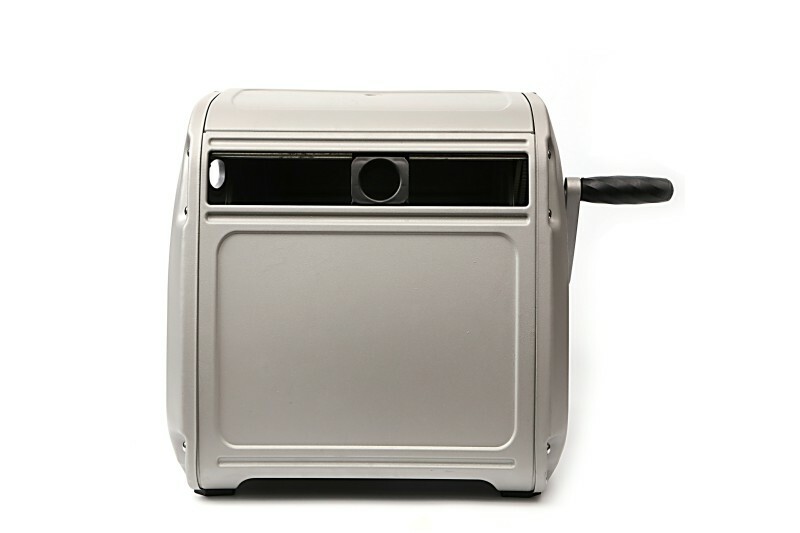 The smart hose track guide system leads hose to smoothly and orderly roll onto the reel without making any tangle.While the case mostly hides away hoses from air exposure it's wide windows on the top is very convenient for occasional checkout and operation.Though the fine patterns on the front and back of the bin are crafted on plastic they agree with the metal perfectly and also do with any garden, yard and deck. 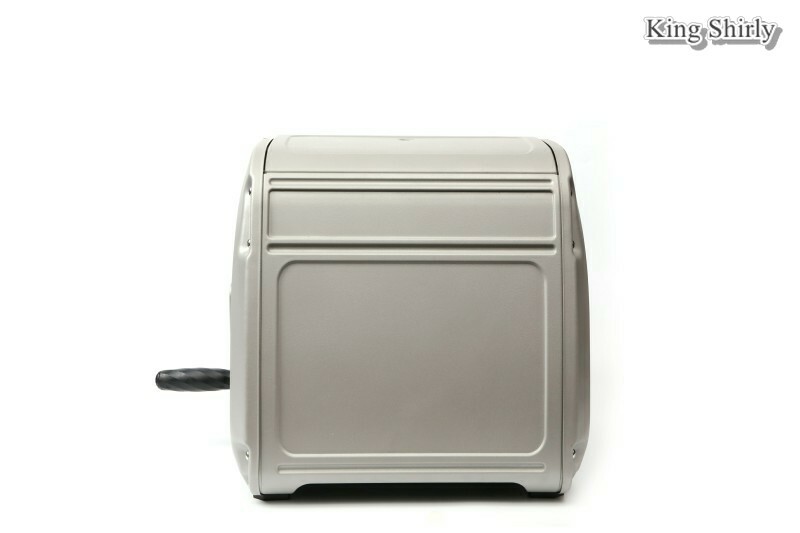 Tread couplings for both water inlet and outlet. Reel capacity is 60m of 1/2in hose or 40m of 5/8in hose.